King’s College Hospital in South East London comprises a huge building complex of more than 11 acres which is hemmed in by the major thoroughfare of Denmark Hill to the east, a rail link to the south and by dense urban housing to the north and west. The project involved converting existing King’s College Hospital property into the new facility with six consulting rooms. 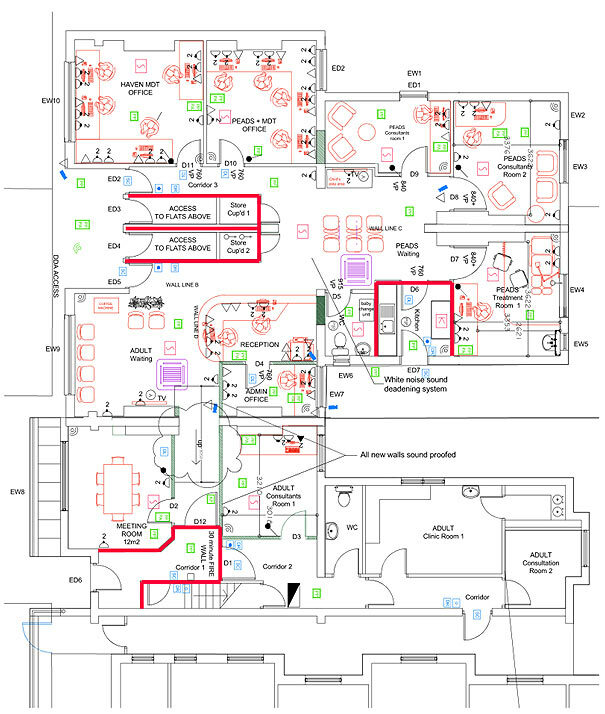 The specification called for a high end finish, including interactive entertainment systems, panic alarms, a high security access control system and a sound deadening system to ensure privacy within each consultancy room. The project was completed in early 2016 within the budget of £500,000.